Figure 9.3 Who are your students? who are – or could be – my students? what is my preferred teaching approach? what are the content and skills that I need to teach? what resources will I have to support my decision? As always, start with the learners. Research (see for instance Dabbagh, 2007) has repeatedly shown that fully online courses suit some types of student better than others: older, more mature students; students with already high levels of education; part-time students who are working and/or with families. This applies not only to MOOCs (see Chapter 5) and other non-credit courses, but even more so to courses and programs for credit. the main reason for most UBC students taking fully online courses is the flexibility they provide, given the work and family commitments of students and the difficulty caused by timetable conflicts for face-to-face classes. This suggests that fully online courses are more suitable for more experienced students with a strong motivation to take such courses because of the impact they have on their quality of life. In general, online students need more self-discipline in studying and a greater motivation to study to succeed. This does not mean that other kinds of students cannot benefit from online learning, but extra effort needs to go into the design and support of such students online. On the other hand, fully online courses really suit working professionals. In a digital age, the knowledge base is continually expanding, jobs change rapidly, and hence there is strong demand for on-going, continuing education, often in ‘niche’ areas of knowledge. Online learning is a convenient and effective way of providing such lifelong learning. Lifelong learners are often working with families and really appreciate the flexibility of studying fully online. They often already have higher education qualifications such as a first degree, and therefore have learned how to study successfully. They may be engineers looking for training in management, or professionals wanting to keep up to date in their professional area. They are often better motivated, because they can see a direct link between the new course of study and possible improvement in their career prospects. They are therefore ideal students for online courses (even though they may be older and less tech savvy than students coming out of high school). The most rapid area of growth in online courses is for masters programs aimed at working professionals. What is important for such learners is that the courses are technically well designed, in that learners do not need to be highly skilled in using computers to be able to study the courses. So far, apart from MBAs and teacher education, public universities have been slow in recognising the importance of this market, which at worse could be self-financing, and at best could bring in much needed additional revenues. The private, for-profit universities, though, such as the University of Phoenix, Laureate University and Capella University in the USA have been quick to move into this market. One other factor to consider is the impact of changing demographics. In jurisdictions where the school-age population is starting to decline, expanding into lifelong learning markets may be essential for maintaining student enrolments. Fully online learning may therefore turn out to be a way to keep some academic departments alive. However, to make such lifelong learning online programs work, institutions need to make some important adjustments. In particular there must be incentives or rewards for faculty to move in this direction and there needs to be some strategic thinking about the best way to offer such programs. The University of British Columbia has developed a series of very successful, fully online, self-financing professional masters’ programs. Students can initially try one or two courses in the Graduate Certificate in Rehabilitation before applying to the master’s program. The certificate can be completed in less than two years while working full-time, and paying per course rather than for a whole Master’s year, providing the flexibility needed by lifelong learners. UBC also partnered with Tec de Monterrey in Mexico, with the same program being offered in English by UBC and in Spanish by Tec de Monterrey, as a means of kick-starting its very successful Master in Educational Technology program, which over time has doubled the number of graduate students in UBC’s Faculty of Education. We shall see these examples are important when we examine the development of modular programming in Section 9.9. 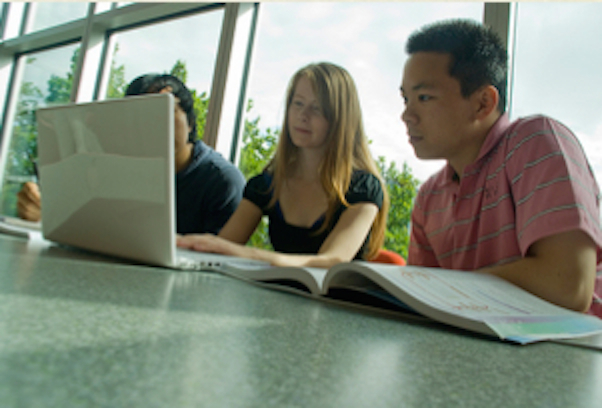 Online learning also offers the opportunity to offer programs where an institution has unique research expertise but insufficient local students to offer a full master’s program. By going fully online, perhaps in partnership with another university with similar expertise but in a different jurisdiction, it may be able to attract students from across the country or even internationally, enabling the research to be more widely disseminated and to build a cadre of professionals in newly emerging areas of knowledge – again an important goal in a digital age. Often it is also assumed that isolated or remote learners are the main market for fully online learners in that they are distant from any local school, college or university. Certainly in Canada, there are such students and the ability to study locally rather than travel great distances can be very appealing. However, it is worth noting that the vast majority of online learners are urban, living within one hour’s travel of a college or university campus. It is the flexibility rather than the distance that matters to these learners, and really remote and isolated students may not have good study skills or broadband access. Thus they may need to be introduced gradually to online learning, with often strong local face-to-face support initially. In terms of blended learning, the ‘market’ is less clearly defined than for fully online learning. The benefit for students is increased flexibility, but they will still need to be relatively local in order to attend the campus-based sessions. The main advantage is for the 50 per cent or more of students, at least in North America, who are working more than 15 hours a week to help with the cost of their education and to keep their student debt as low as possible. Also, blended learning provides an opportunity for the gradual development of independent learning skills, as long as this is an intentional teaching strategy. The research also suggests that these skills of independent learning need to be developed while students are on campus. In other words, online learning, in the form of blended learning, should be deliberately introduced and gradually increased as students work through a program, so by the time they graduate, they have the skills to continue to learn independently – a critical skill for the digital age. If courses are to be offered fully online in the early years of a university career, then they will need to be exceptionally well designed with a considerable amount of online learner support – and hence are likely to be expensive to mount, if they are to be successful. The main reason for moving to blended learning then is more likely to be academic, providing necessary hands-on experiences, offering an alternative to large lecture classes, and making student learning more active and accessible when studying online. This will benefit most students who can easily access a campus on a regular basis. Many students coming straight from high school will be looking for social, sporting and cultural opportunities that a campus-based education provides. Also students lacking self-confidence or experience in studying are likely to prefer face-to-face teaching, providing that they can access it in a relatively personal way. However, the academic reasons for preference for face-to-face teaching by freshmen and women are less clear, particularly if students are faced with very large classes and relatively little contact with professors in the first year or so of their programs. In this respect, smaller, regional institutions, which generally have smaller classes and more face-to-face contact with instructors, have an advantage. We shall see later in this chapter that blended and fully online learning offer the opportunity to re-think the whole campus experience so that better support is provided to on-campus learners in their early years in post-secondary education. More importantly, as more and more studying moves online, universities and colleges will be increasingly challenged to identify the unique pedagogical advantages of coming to campus, so that it will still be worthwhile for students to get on the bus to campus every morning. It is therefore very important to know what kind of students you will be teaching. For some students, it will be better to enrol in a face-to-face class but be gradually introduced to online study within a familiar classroom environment. For other students, the only way they will take the course will be if it is available fully online. It is also possible to mix and match face-to-face and online learning for some students who want the campus experience, but also need a certain amount of flexibility in their studying. Going online may enable you to reach a wider market (critical for departments with low or declining enrolments) or to meet strong demand from working professionals. Who are (or could be) your students? What kind of course will work best for them? We shall see that identifying the likely student market for a course or program is the strongest factor in deciding on mode of delivery. 1. Choose one of your courses. Do you know the key student demographics: age, gender, working or not, single or with families, language skills? If not how could you get this information? 2. If you had this information, would it change the way you teach? 3. If you are teaching a face-to-face class, are there other kinds of students who would be interested in taking your course if it was online? 9.3 Which mode? Student needs by Anthony William (Tony) Bates is licensed under a Creative Commons Attribution-NonCommercial 4.0 International License, except where otherwise noted.